Avonmouth Ship Letter mark [Robinson type S1 / Hosking type 1c] in use between 1907 and 1943. The Bermuda stamp is cancelled by an Avonmouth double ring canceller dated April 20th 1910. 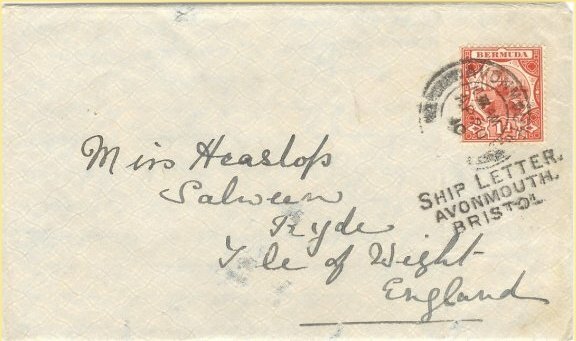 Envelope posted during WW1, dated 1914, with censor label, deposited at Fleetwood in Lancashire, England, where it received the 2 line "Ship-Letter" cancel [Hosking H67DD / Robinson S1]. This envelope is rare. 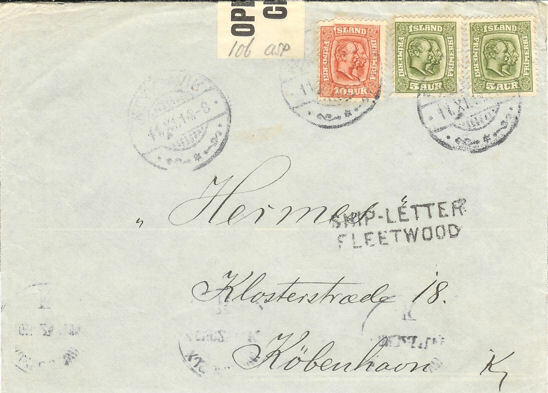 Many letters from Iceland were carried to Great Britain, often by ships of the Icelandic fishing fleet, before entering the mail system to be sent to their ultimate destination. The mark is known in use between 1914 and 1919. 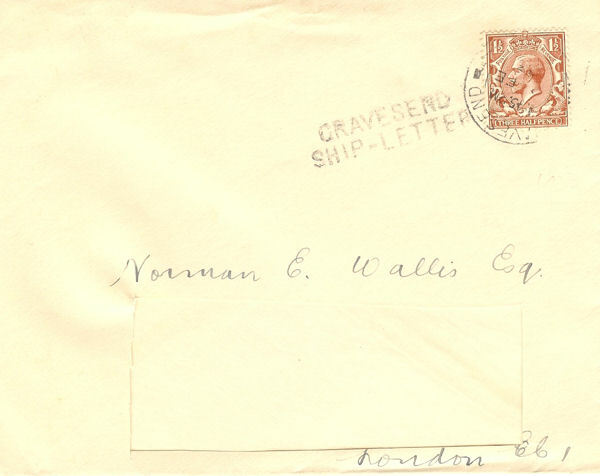 This P&O envelope dated in 1923 bears the Robertson type S13 [Hosking 76DD] ship letter mark and a Gravesend cancel. It is a late usage and also very rare.